Thanks Eternity. I will be relocating the PS reservoir prior to the turbo install. I will look into upgrading the fittings. Unfortunately it's hard to visualize what I need before actually trying to install everything. Do you happen to have any pictures of your setup? 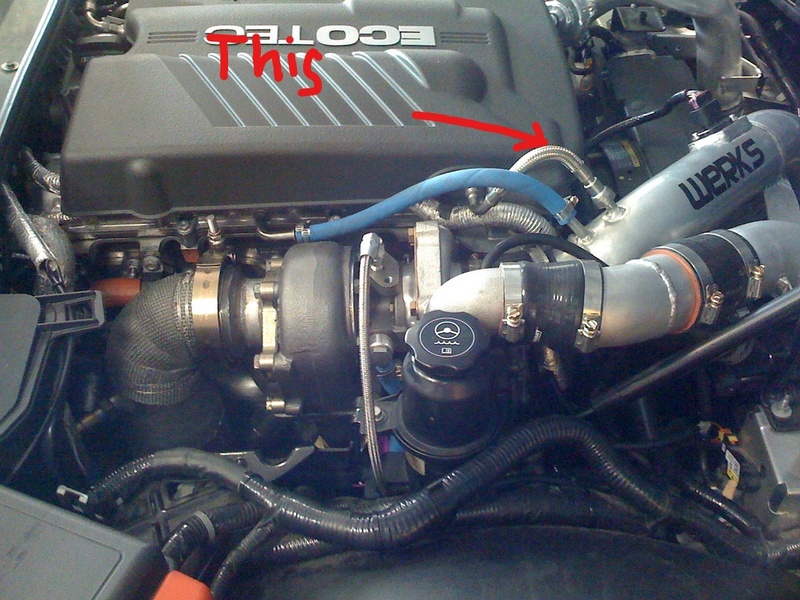 Ill get a picture later, but the hose fittings, i used 2 x JEGS Hose Barb Adapter 14mm x 1.5 Male Straight to 3/8" Hose. part number 555-110477, and vibrant .375 heater hose. I also put a high tempurature sleve in it. Heater hose is better for high temperature. 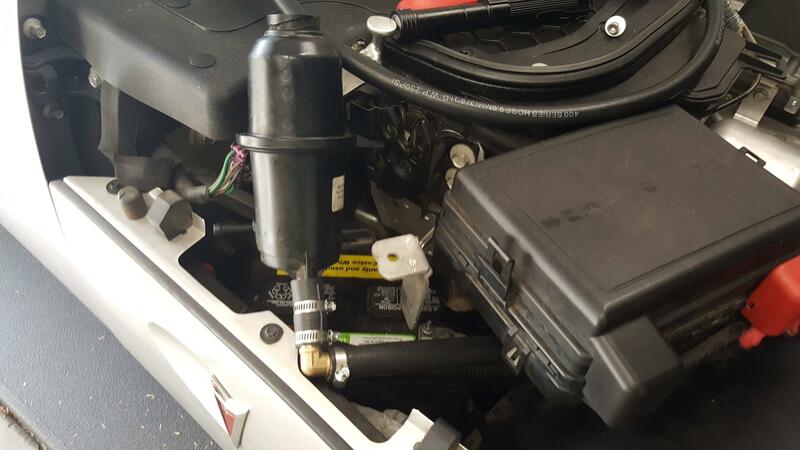 These fittings go right where you would put the banjo bolts on the coolant supply hard line. And i routed the line around the outside of the downpipe, against the frame, so that you can take out the turbo, without undoing to coolant line. @EternityFalling I had a few blown turbo-to-manifold gaskets on the '06 after I installed the turbo kit. Turned out that I just wasn't torquing the thing down correctly. I'm just curious is there a test one can do to know if the wastegate & blow off valve are working correctly? Thanks for the explanation raygun on what they do. 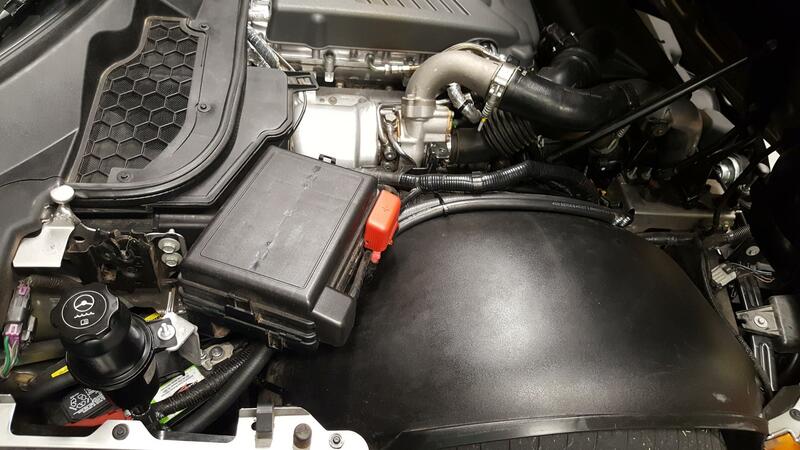 The FSM usually lists diagnostic procedures for sensors and actuators. If you’re seeing smooth, consistent boost at expected levels for your tune and altitude, they’re most likely fine. I will be doing this same install in the near future. I have all the same parts, but my WG is dumping to the atmosphere not back into the downpipe. I am pretty confident with everything but drilling and tapping my intake. I know it's pretty basic, but it still unnerves me. Good luck and share any tips/trouble you come across and I will do the same. Thanks for the pic Eternity! I'm just working through what documentation there is. "You will need to drill and tap the supplied 3/8" NPT push lock fitting into your intake pipe. 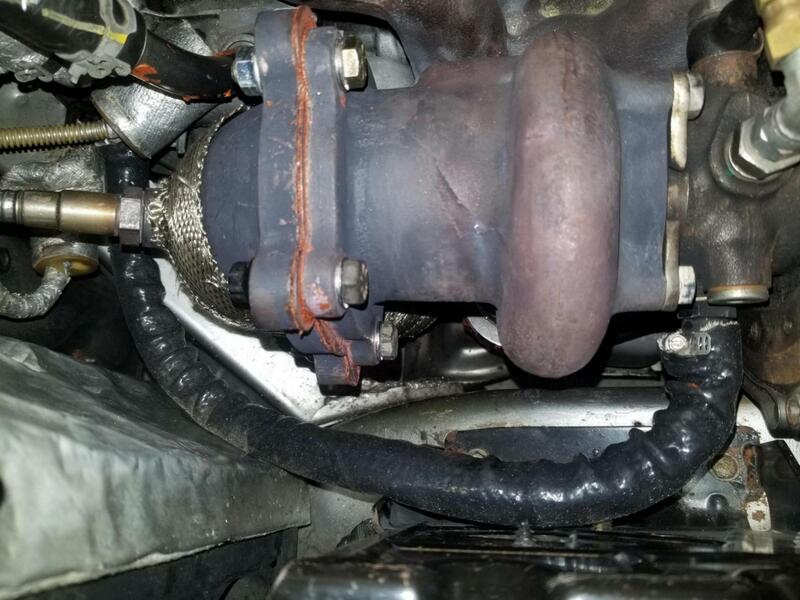 Then trim to fit and attach the supplied 3/8" push lock rubber line from the stainless OEM line you removed from the turbo to the 3/8" push lock fitting installed in your intake." I'm guessing this is the vent line that goes into the stock turbo now being routed into the plastic intake pipe? Anyone have a picture this completed? Yes, you have to reroute the breather line from the valve cover to the turbo. The stock turbo has a place for the line to go, but the WR-3 doesn't so you have to drill and tap the intake to create the vacuum needed to pull the oil vapors out of the engine. This picture isn't mine, but the finished product should look something like this. Side note: If you are installing this larger turbo you should probably have an aftermarket CIA and it probably isn't plastic! Last edited by zmego; 01-27-2019 at 10:35 PM. The kit includes a long rubber line which extends that stock braided line. My connection is short enough that I don't need the extra line. I can do it like the one pictured. So that type of connection is called an "SAE quick disconnect push on EFI" fitting if anyone is like me and didn't know what to search for. It looks like you could use something like this to go directly from the factory line to the intake tube. I think eventually I would like it welded on and not have the threads protruding into the pipe. That fitting would work nicely. The line is just a breather line and is under very little pressure so you don't have to use the same connection. The "quick disconnect" only works when there is enough space to use a tool! If there isn't enough space then it is anything but quick. Yeah, getting that factory line off of the valve cover looks like a chore. I decided to knock out the PS reservoir relocation while I'm waiting on parts to arrive. This ended up taking a lot longer than it should have but it's done. I chose to 90 degree it coming off of the reservoir to avoid doing the big swoop in front of the battery. I'm still considering moving the reservoir up front, forward of the radiator. There's plenty of room there since removing the stock intake assembly. After the other billion projects I have on the list get completed.